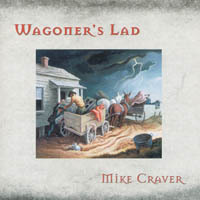 This collection of piano and guitar based songs contain great eerie pieces of Americana, some of which carry the punch of a damp outbuilding with a body inside. theater. He co-authored and performed in award winning off-Broadway productions The Oil City Symphony, Smoke on the Mountain, and Radio Girls.Mike has also recorded three critically acclaimed solo albums Fishing For Amour, Wagoner's Lad, and Shining Down. He returned to North Carolina in the late 1990s, and has resumed performing his music, occasionally with fellow former Ramblers, while continuing to write songs and shows.